Moving house to a popular travel destination at first seems very appealing and exciting. Isn’t living close to the sea, ocean or some attractive ski center something that you’ve always wanted? However, consider all pros and cons before making so important life-changing decision. 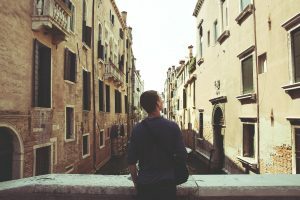 Feeling like you are on vacation may become your daily routine, and no matter how exciting it seems, make sure you are fully aware of all aspects of moving to a busy, tourist area. When thinking about buying a real estate in the tourist area, you should decide whether you want to move permanently or just have a place where you can get away occasionally. – Enjoying the proximity to natural attraction and spectacular view and scenery at any moment. – Having an opportunity to engage in various outdoor activities and sports adventures and eventually relax after a hard working day. – Clean and fresh air improves your health condition and make you feel better. – The town that has been thriving on tourism probably has a prosperous local economy. – Living in a popular and lively city can be considered both as an advantage and disadvantage depending on the circumstances. Young people are likely to enjoy and have a lot of fun living near the sea in an attractive and dynamic city full of different people, exciting events and socializing opportunities.On the other hand, families with babies opt for less noisy surroundings. Seniors usually choose quiet and rural areas to retire. – Your home may become the place where you can gather your friends and family and spend some quality time. You will certainly have more visitors than ever, which is a positive aspect if you are a sociable and easygoing person. – Tourist areas are usually well-maintained, arranged and regulated. – Living near the ocean means that you should be prepared for any type of inclement weather like hurricanes that can have devastating effects. – Noisy streets overcrowded with tourists and traffic jam may cause a lot of stress, especially if you are not used to such busy lifestyle. – Most of the tourist areas are very nice places to visit, but not to live in. If you are living in a tourist area which is alive only during the summer or winter season, it is likely that some of the shops, restaurant and other important venues will be closed during the off-season. – Lack of a sense of community. Tourist areas are overcrowded with the people from all parts of the world, so don’t be surprised if you are treated as a tourist from time to time. – Genuine culture of the area is mixed with other different cultures and everything’s about tourists in general. Considering all positive and negative aspects you can decide whether moving to a tourist area is the right thing to do. Purchasing a long-term residence is not an easy task, given all the factors you should take into account before making the final decision. Also, this house can also be a source of income if you decide to rent it out when you are away. Either way, you will have to hire good real estate agent and high quality moving company that will help you move to your new residence, especially if you are moving to another country. Don’t leave anything to chance and let your movers take care of your belongings in a professional way.